Fitzpatrick Lentz & Bubba attorneys provide general legal representation, counseling and litigation assistance to homeowners associations (HOAs), condominiums, planned communities and property management companies throughout Eastern Pennsylvania and Western New Jersey. general legal representation, counseling and litigation assistance to Homeowners Associations (HOAs), condominiums, planned communities and property management companies throughout Pennsylvania and New Jersey. Handling a full range of issues for our planned community clients, including governing document drafting, amendments and revisions, transition issues, covenant enforcement and assessment violation/collection issues, FLB provides competent, experienced litigation representation at every level—from administrative forums to federal court. We also provide mediation services for planned communities that choose to handle their disputes outside of a courtroom setting. 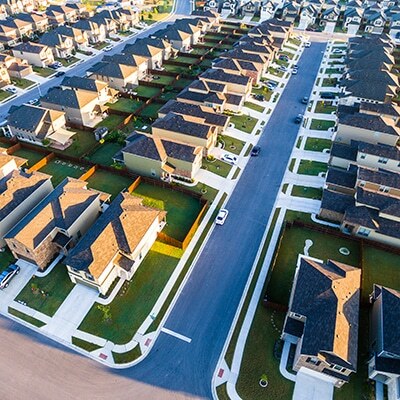 Our planned community attorneys work closely with our experienced real estate, land use and zoning attorneys to provide you with all the resources you need. We have a strong land use, subdivision and zoning practice and regularly provide counsel in the areas of leasing, licensing and tax assessment appeals. Our attorneys also assist with additional related issues such as fiduciary duty, bankruptcy, foreclosure, insurance coverage, labor and employment, code standards and violations, fair housing and discrimination, corporate/nonprofit matters, taxation, FHA approvals and credit-related matters.